June 2, 2017 | BY: Maggie Moon, M.S., R.D.N. June 2, 2017 Maggie Moon, M.S., R.D.N. If you can’t tell ramen from udon, you’re in luck: I’ve done all the noodle sleuthing for you. I raided the ethnic food aisles of grocery stores on both coasts, taste-tested nearly 20 types of Asian noodles, dug deep into my own childhood memories, and talked to chefs who know what’s what. Here’s what you need to know about seven common Asian noodles. They’re typically made from mung bean starch, potato starch, wheat flour, or rice flour and come in one of two shapes: long and round or long and flat. Both shapes can vary in thickness and texture. Dry Western noodles (mostly Italian pasta) are usually made with flour, water, and salt. Fresh pasta is made with the same ingredients, plus eggs and oil. Unlike Asian noodles, Western noodles come in all shapes and sizes, from spaghetti and linguini to penne and fusilli. Many Asian noodles are gluten-free, and some are easier to prepare than others since they only require soaking (bean thread, rice) or are ready-to-eat (shirataki). Chef Casto Unson from the New School of Cooking in Culver City, California, encourages people to experiment with different types of noodles to see how they work in various dishes. Your best best for the biggest selection is to hit up your local Asian supermarket. These gluten-free noodles are trending because they have an eye-popping zero calories. They’re made from a yam-like vegetable known as konnyaku or konjac, and sold packed in water and ready to eat. “Keep in mind that these noodles are already cooked so the softness is predetermined,” says Chef Marisa Baggett, author of Vegetarian Sushi Secret. Baggett’s tip: Dry fry them in a skillet for 7 to 10 minutes to remove some of the excess liquid. 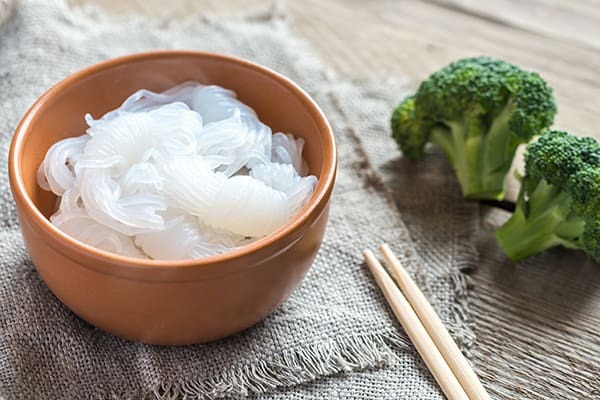 “Shirataki noodles are infamous for possessing an unpleasant odor straight out of the package,” she adds. Baggett recommends boiling the noodles for five minutes then rinsing them to get rid of the smell. 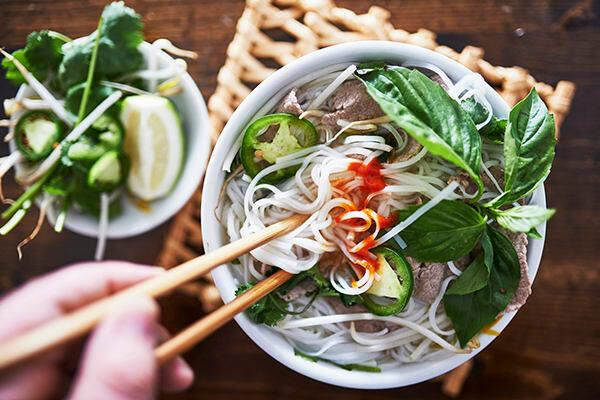 Rice noodles are another gluten-free favorite made from just rice and water, though you may want to check the ingredient list for additives. There two types: thin like vermicelli or thick like the noodles used in pad thai. Soak the noodles in boiling water and rinse with cold water for cold noodle salads or soak in warm water to use in stir-fries, recommends Unson. They’re more brittle than other Asian noodles, but they win on affordability and versatility: Rice noodles are basically a blank canvas for flavorings, so feel free to use more sauce in your dishes for robust flavors. Soba are thin Japanese noodles traditionally made with buckwheat. To prepare, boil them like you would any Italian pasta, then rinse in cold water to stop the cooking process and remove residual starch. Soba noodles are smooth and silky, and you can eat them hot or cold, but they’re most commonly served cold with a dipping sauce. Technically, you could use soba in stir-fries, but cooked soba noodles are a little too delicate, says Baggett. Most soba noodles are gluten free if they’re made with 100-percent buckwheat. However, some varieties, like a delicately grassy mugwort leaf soba I tasted, is made with a blend of wheat and buckwheat, so make sure to check the ingredient label if you’re trying to avoid gluten. Soba is also a little lower in calories and a little higher in protein compared to Italian pasta. Need some recipe ideas? 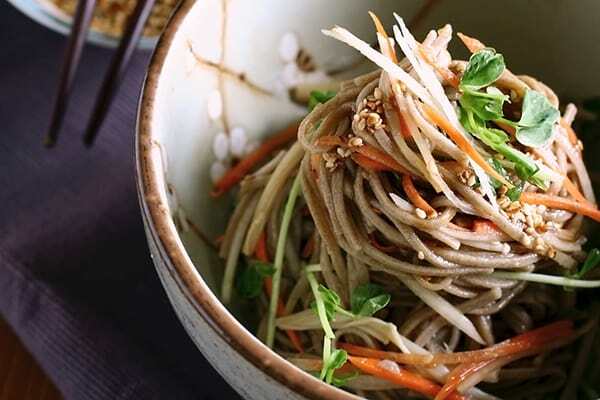 Try this soba salad with Asian vegetables and golden tofu to see what all the fuss is about. 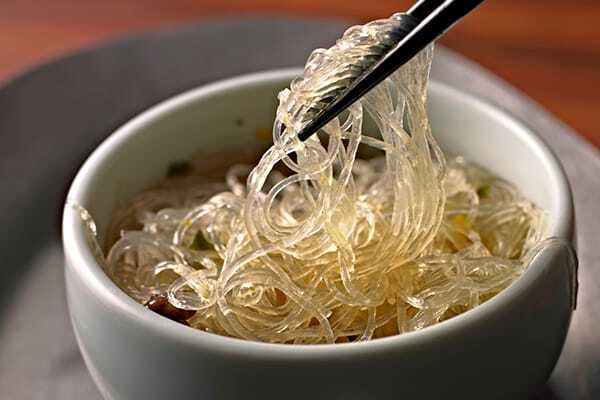 Also known as “saifun,” “bean thread,” or “glass” noodles, these gluten-free noodles are see-through when cooked. They have a soft, bouncy texture, and are simple to prepare: Boil for up to 15 minutes, then rinse with cold water. Ramen noodles are wheat noodles that have been steamed then dried or deep-fried. There’s an alkaline element added, such as baking soda, to give it a firm bite. If you can’ resist the siren call of ramen, try this turkey ramen recipe with whole-grain noodles for a healthier take. Fun fact: “Real,” freshly ramen noodles are not the same as the dried instant ramen of your college days. Another wheat-based noodle, these thick Japanese noodles are usually served in soups but can be used in stir-fries, too. 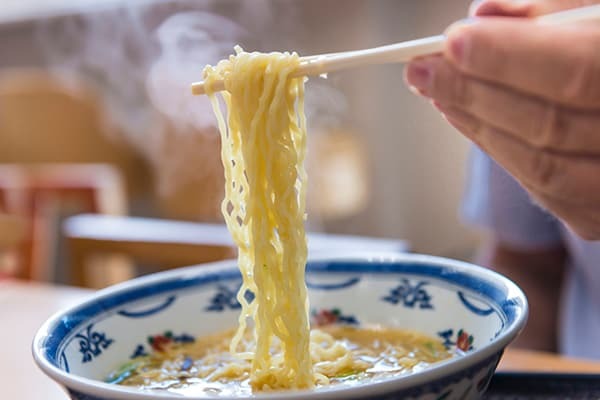 Baggett says ramen and udon are both great additions to hot soup broths, but she recommends adding at least one contrasting texture to balance things out. 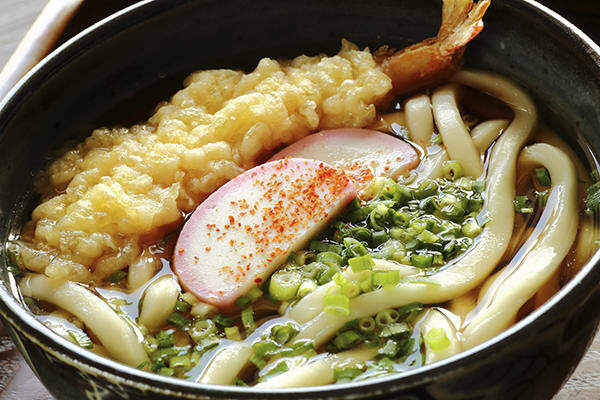 A soft-boiled egg goes well with the firmness of ramen, while adding crunchy tempura vegetables right before serving contrasts with soft, slurp-worthy udon. These thin Japanese wheat noodles are almost exclusively served cold. 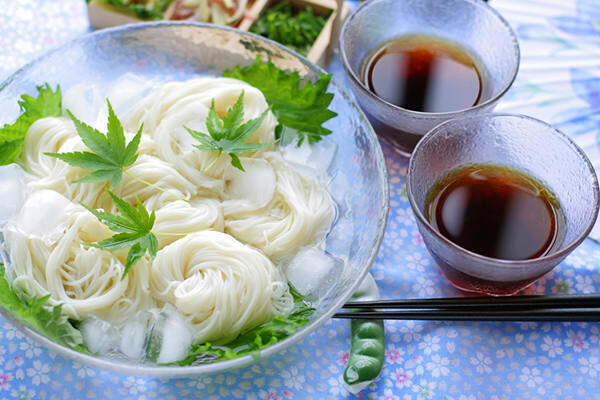 Somen noodles are incredibly thin, about the size of a sewing thread, and very delicate. A popular and beautiful way to serve them is to twirl the noodles into twisted mounds, with a soy-based dipping sauce, toasted sesame seeds and grated ginger on the side.